عندما تزور سيدني, ستشعر أنك في بيتك في فندق ستامفورد بلازا، مطار سيدني الذي يقدم لك إقامة متميزة و خدمات عظيمة. إن موقع الفندق الاستراتيجي، الذي يبعد 10km فقط عن مركز المدينة، يسمح للنزلاء بالوصول سريعاً وبسهولة إلى العديد من الوجهات المحلية المثيرة. كما يمكن الوصول بسهولة إلى Sydney (Kingsford Smith) Airport, A Little Something, Australian Customs Service. استمتع بالخدمات الراقية والضيافة التي لا مثيل لها بهذا الفندق في سيدني. يقدم الفندق خدمة الغرف على مدار الساعة, مكتب الاستقبال على مدار الساعة, مرافق مخصصة لذوي الاحتياجات الخاصة, تسجيل وصول/خروج سريع, تخزين الأمتعة لضمان الراحة القصوى لضيوفه. في فندق ستامفورد بلازا، مطار سيدني غرف نوم يزيد عددها عن 315 صممت بذوق وعناية لتوفر لك كل وسائل الراحة . بعضها يحتوي أضاً على غرفة معيشة منفصلة, تلفزيون بشاشة مسطحة, غرف لغير المدخنين, مكيف هواء, تدفئة. كما أن مجموعة الخدمات الواسعة الموجودة في الفندق لضمان راحتك تترك لك الكثير من الخيارات لقضاء وقتك أثناء فترة إقامتك. إن فندق ستامفورد بلازا، مطار سيدني هو خيار ذكي بالنسبة للمسافرين إلى سيدني، بما يوفره من إقامة هادئة ومرحة. The hotel was very well kept, very clean and the staff were very polite and helpful, nothing was too much trouble, Good facilities, big rooms and daily maid service all at a reasonable price. Highly recommended and will certainly stay there when I go back to Sydney. Last minute deal was very cheap at this excellent hotel with large rooms and many facilities. Checkout extended to 12 noon without charge, and extended use of well-equipped hospitality room made waiting for a very late flight a breeze. 10-15 mins walk to Mascot train station. Shuttle transfer to airport $7. Older hotel with large rooms. Comfortable 2 double beds in a large room. All is great. Kettle, tea and coffee. Fast check in and check out. Enjoyed my stay. Will come back again if I have to stay over at the airport hotels again. I cannot imagine anyone staying here unless using the airport - but it is perfect for that. Clean, comfortable, convenient and efficient. If you want to leave your car here, be warned - parking is excessively expensive. Have been to Sydney many times but find I always do the same thing in regards to Hotel accommodation as I always pick one in the CBD. 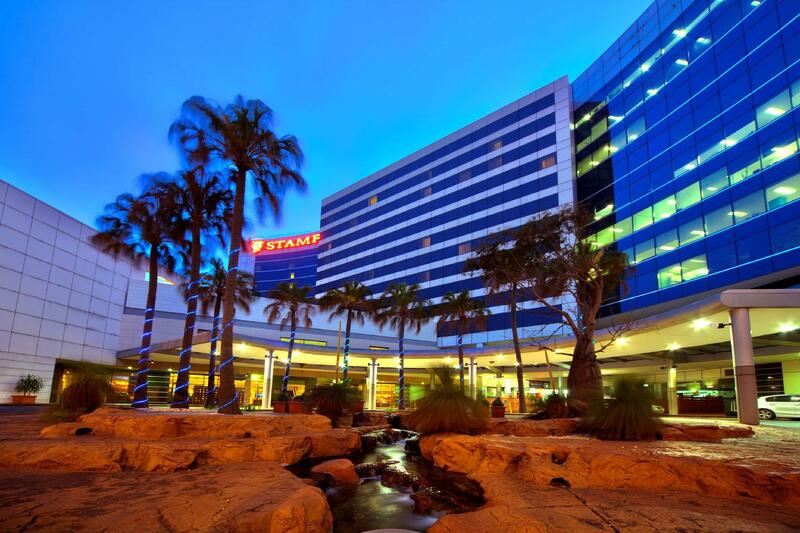 This time thought I would try a hotel in Mascot The "Stamford Plaza Sydney Airport" & glad I did. For me this hotel is all about location location, location. It was a great hotel to try & of a high standard as I have frequented many hotels both in Australia and overseas. Clean ... Large room ... Good view of Airport plus quiet. I was easily able to walk from Airport terminal ( Domestic ) in approximately 10 mins a little more getting there as I didn't know the route & there was allot of construction going on. Once you get going though you will see the large re Stamford sign as you walk out of the entrance to the airport ( Its easy to see & you will not get lost which is reassuring, when asking for directions initially airport staff should be able to point you in the right direction as its a major landmark). From the Hotel to the train station too is an easy 10 to 15 min walk. The mascot station is considered not to be an Airport station so its not expensive to get to the city from there. If you need a quick feed .. Mc Donald's .. KFC .. etc its very close, just point yourself back to the airport and turn slightly left (If in doubt just ask reception) There are also a few small restaurants dotted round the place. All in all I would stay at this hotel again the price was similar to equivalent hotels in the city however instead of having to pay $ 18.00 pre person for the train from Airport station you end up only paying about $ 4.10 with an opal card from Mascot Station, it didn't seem to take long from there to get to the city .. just a couple of stations. Hope this info helps a similar traveller. Prompt shuttle service to the door. Warm, friendly greeting at check in on our wedding anniversary. We were upgraded to a 9th floor room, very quiet and generous room. 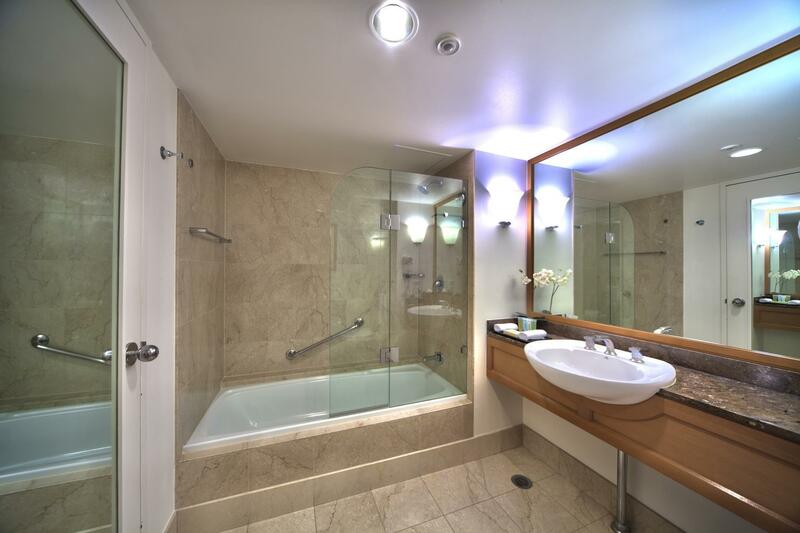 Large bathroom with bath. One of the Iconic hotels with character. Just charming amd we loved every minute of our stay. Such a change from business hotels in the area where we have stayed..this was markedly professional, personal service style. Very customer orientated. Close to the domestic terminal..a bonus! I travelled with my 8yr old daughter and stayed in a deluxe room on the 8th floor with great views over the airport. Staff were very friendly and helpful. Room was lovely, clean and spacious. Continental breakfast was nice and special requests were accommodated. We also enjoyed the pool. Will definitely stay again in the future. I was very surprised and impressed by this hotel. The staff were very friendly and helpful, the room was one of the nicest rooms I have ever stayed in and it was very well presented. The bed was comfortable, the room had a fridge, minibar and kettle with coffee and tea. I would highly recommend this hotel and would definitely stay here again if I needed a quick overnighter near the airport. It was an absolutely amazing stay we sway enjoyed it here , we would stay here over and over . 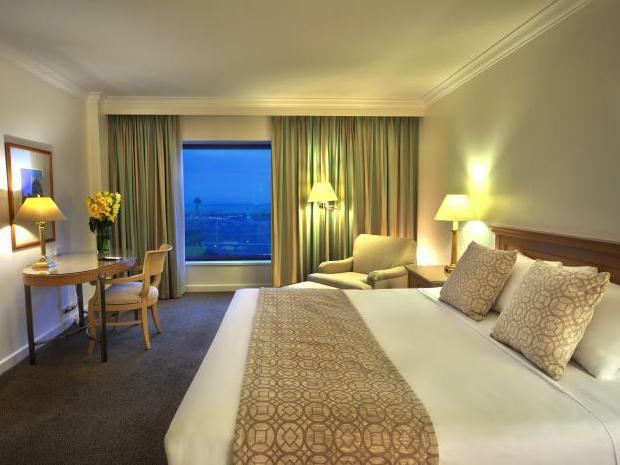 We were taken such great care of and the service was just phenomenal the manager here looked after us very well, we had great underground parking and had complimentary late check out at 12 . we highly recommend anyone stay here it's central to the city and main areas of Sydney ! Staff, Service, Room conditions and cleanliness/design and homey feeling. Our hotel room was great - well appointed and clean. Staff were very friendly and helpful. Regarding the shuttle - My flight arrived late at night and by the time I collected the car seat and 2 bags for myself and my 6 year old, we had missed the first shuttle (which was full anyway). I rang the hotel and was advised the next shuttle would be 40 minutes later, and was advised a taxi would be around the same price of $14, but actually cost $25. Positives .. great buffet breakfast and includes free parking for NON-guests only. Big Negatives .. Inconsiderate and sarcastic check in staff. My mother is a disabled pensioner, nearly 90 years old, staying over night before a flight the next day. She struggles with some 'personal care' so at check in I spoke with the staff and explained her situation .. "I just want to settle my mother into her room and get her showered etc, she is nearly 90 and disabled, it won't take me more than two hours, can I park so I can help her out please" .. Respone - Of course .. that will be $20 for the parking. My response "Look its nearly a $200 room, surely you could waive the parking in this case". Response - No there is nothing I can do. And this was coupled with a sarcastic smile. Overall it is expensive for a tired room, with chipped and worn furniture. The TV remote looked like it was from the 1990s and no online TV guide and only free to air channels. And then they squeeze you for every dollar! Great Hotel but a shuttle was needed to get to the Hotel and not a 10 minute walk. Another Hotel was in walking distance, so would be a toss up next trip. But the positive was . nice to get away from the airport, a spacious clean room and great staff.